Define your living space with a 2-piece sofa set that's both fashionable and versatile for any home living space. 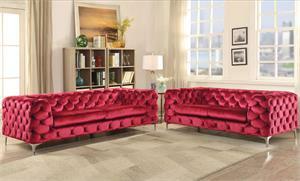 It's deep seating with tall armrest provide comfort for you and your loved ones. 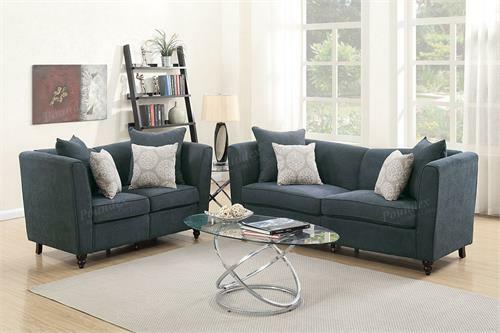 A simple frame with single seat and back cushions, accent pillows create the perfect layer to your decor. 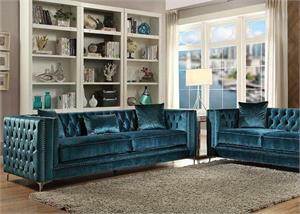 Available in slate, taupe or hydra blue velveteen fabric. Sold only as a set of sofa and loveseat.